The study carrel can be used in a multitude of environments for students and adults to relax and enjoy the solitude for studying and reading. This add-on carrel features a large work surface to accommodate a computer monitor or laptop with room for books and paperwork and the leveling glides ensure a stable work surface. 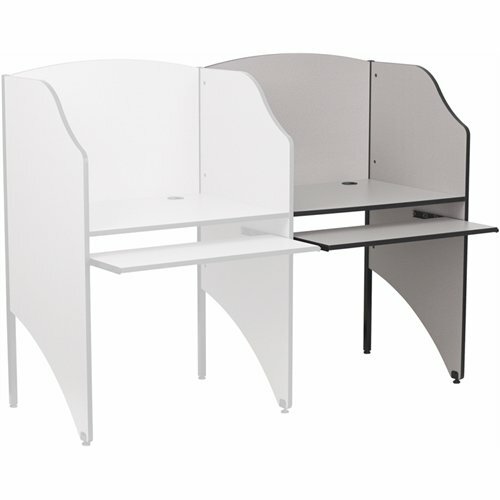 Create a row of study carrels by purchasing the starter unit and then adding multiple add-ons for a computer lab or to create an atmosphere for users to have their own personal space for privacy. The possibilities are endless with creating your custom space.